See what's inside! The 2 Blush and 6 Shadow Empty Palette is matte black, with a clear see through lid, for convenience and quick on-the-go touch-ups. 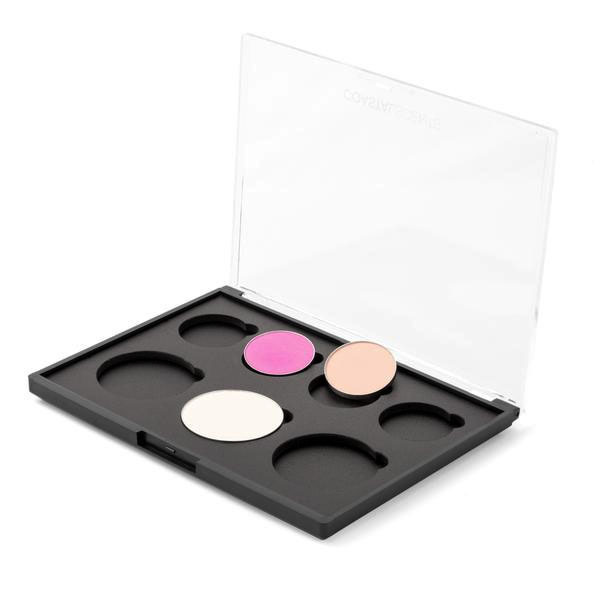 This palette also contains built in magnets that attract up to six Hot Pots and up to two Blush Pots. The upper-right corner of each pan mold is scooped out for easy removal and replacement. 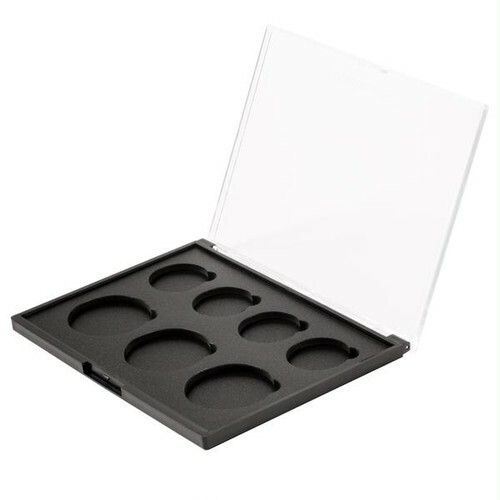 NOTE: MAC pans will not magnetize to our palettes or Go Pods due to the magnet's polarity. 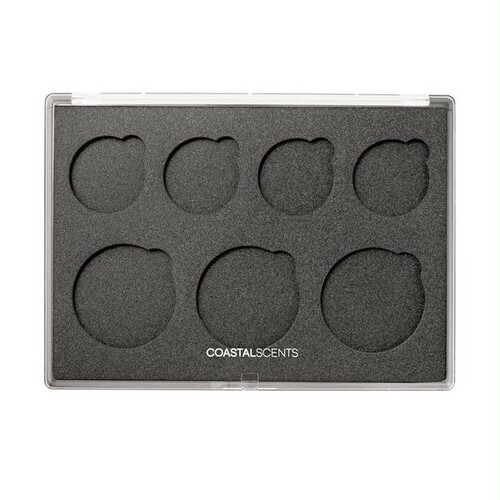 Dimensions: Palette: Length 5.75" (14.6cm), 4.28" (10.9cm), 0.5" (1.3cm), Slot Diameter: 26mm & 36mm.